ERT is the Earthmaster Research Team. The three members are all Earthmaster owners with generations of experience and a large reference library. We will do our best to help you. Please visit our companion web site for members only by clicking here. This web site offers email service along with hundreds of photos and information. Membership is free. The Yahoo Tractor Shed is a great web site for any tractor enthusiast and is necessary for the Earthmaster owner. New information is published frequently, with the newest items listed to the right under New Items. While navigating with the many links in the left margin, you will find catalogs, part lists, sales ads, price lists, and many more features. What makes the Earthmaster attractive? To quote Greg Turberville, "Aside from the tractor just being neat, somewhat toy like in appearance, I think it has as much to do with the people (us) and their backgrounds and similar philosophies. In other words, is it the tractor, or is it as much the memory or time in our history?" 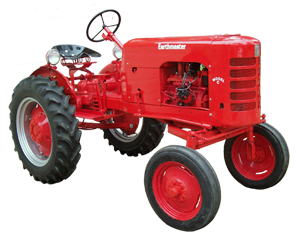 Is there a common thread that brings us together as owners and enthusiasts of the Earthmaster tractor? We would like to hear your stories. Please send them to paul@earthmastertractors.com and with your permission we will post the memories and stories for all to read. 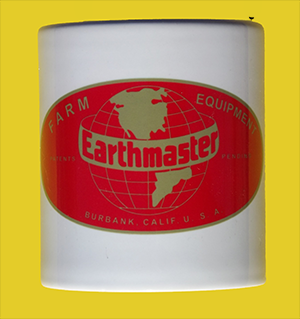 The original Earthmaster website started by Greg Turberville contains very valuable information for all owners and enthusiasts. Of particular value is the the owners registry where owners and tractor serial numbers are recorded. The Tractor Shed is a free members only website. You can join and registrer your tractor by clicking here, or click on Yahoo Tractor Shed at the left.